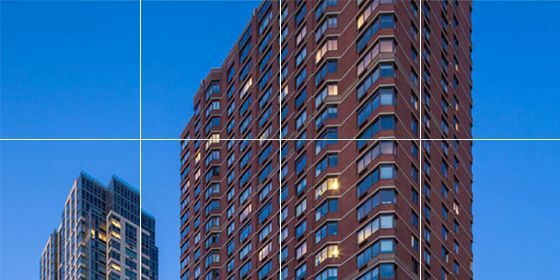 G/BA provided energy efficiency engineering studies and retro-commissioning to The Vanguard Chelsea. This mixed-use building in Manhattan, part of the Albanese Organization portfolio, encompasses a total of 298,911 square feet, comprising 269,900 square feet of apartments, 29,301 square feet devoted to retail space, and a 24-hour parking garage. The Vanguard Chelsea is a luxury mixed-use facility built in 1999. The G/BA team has performed multiple projects at the 31-story facility, which has been certified LEED Platinum. The initial retro-commissioning project included a survey of the steam traps located in the mechanical spaces and discovered failed steam traps. Replacement of the failed steam traps resulted in an annual cost savings of $10,928, with a simple payback of four months. The existing cooling tower was constant-speed and was being used year round due to the process heat loads of the retail tenants. The annual cost savings of installing a variable frequency drive on the cooling tower was $22,036, with a simple payback of six months. Numerous locations were observed to be lacking piping insulation. The lack of piping insulation, especially on steam and condensate lines, results in a waste of heat to unwanted spaces. The annual cost savings of installing piping insulation was $7,689, with a simple payback of 1.5 years. During domestic hot water heater evaluation, retro-commissioning staff noted that the heaters were set to 130°F. Reducing the hot water setpoint to 120°F resulted in an annual cost savings of $9,686. Since there was no cost associated with this change, the simple payback was immediate. The combined annual cost savings for the initial retro-commissioning project, including energy conservation measures not listed above, was calculated at $89,542, with an average simple payback of 1.5 years. The total cost of implementation was $59,650. G/BA performed further energy-auditing services to satisfy and exceed the requirements of New York City Local Law 87. Mechanical, plumbing, and electrical systems were analyzed for performance and further opportunities for energy conservation measures. G/BA has assisted the client in applying for incentives through the Con Edison Commercial and Industrial Energy Efficiency Program.